The Man Booker Prize for Fiction (formally known as The Booker-McConnell Prize, or simply, The Booker Prize) is a prize awarded every year to the most original, beautifully written novel in the English language and published in the UK. Literary award season may not be as glitzy and glamorous as the fanciest movie and music awards, but when literature is recognized for its exceptional achievements, you can bet book nerds around the world are awaiting the announcements with an uncontrollable eagerness. And as one of those eager bookish people myself, I couldn't help but wonder: why is it called The Man Booker Prize? While many commonly known and recognized literature prizes such as The Pulitzer Prize and The John Newbery Medal are named after contributing and influential publishers, The Man Booker Prize, which launched in 1969, is a little different in that its name is quite literal. Intended to promote the finest fiction by rewarding the best novel of the year written in English and published within the UK, the Booker Prize has changed in name over the years, but not in purpose. 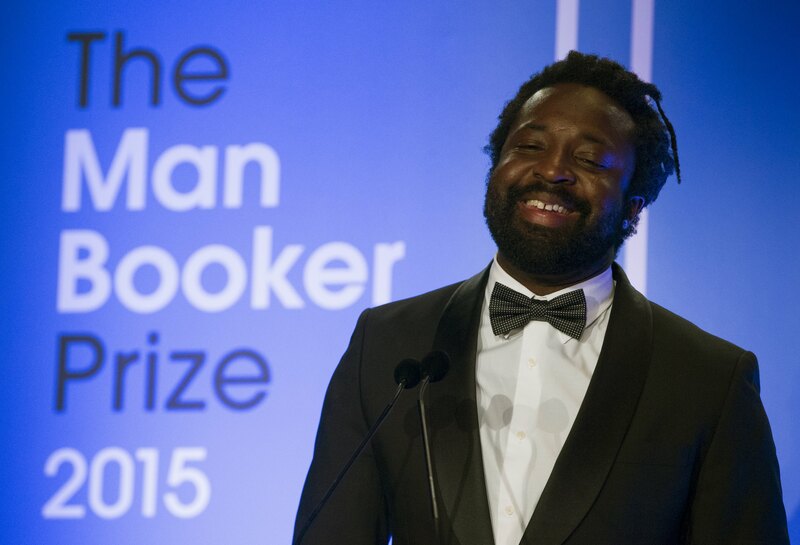 But why is there a "Man" in The Man Booker Prize? Don't worry, it isn't some strange, sexist, or behind-the-times name that someone needs to update. It's simply the name of the investment group — Man Group — that supports the award every year. Man Group has sponsored the prize since 2002, and was recognized as a partner who "mirrored the quality, integrity and longevity of the Booker Prize." One of the world’s largest independent alternative investment managers, Man Group is an incredibly charitable organization, funding the winner of The Man Booker Prize with £50,000, a check for £2,500 and a designer bound copy of their book. Pretty nice, right? The 2016 shortlist nominees for the prize include Paul Beatty's The Sellout, Deborah Levy's Hot Milk, Madeline Thien's Do Not Say We Have Nothing, among others. Last year's winner was the incredible A Brief History of Seven Killings by Marlon James. So now you know. The Man Booker Prize is all about encouraging readership, celebrating quality fiction, and talented authors. The 2016 Man Booker Prize winner this year will be announced on October 25 in London, England, so stay tuned!